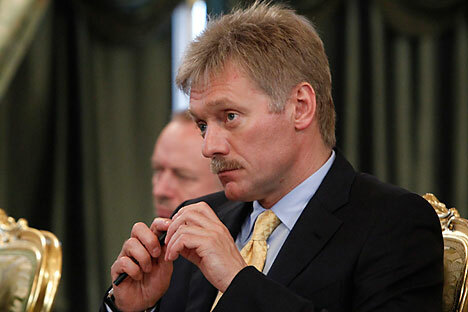 Such situation is impossible in Russia, Kremlin spokesman Dmitry Peskov said on Monday in reply to a reporter’s query in connection with recent appointments in Ukraine. Foreigners cannot be appointed to high government jobs in Russia as this is banned by law, Kremlin spokesman Dmitry Peskov said on Monday in reply to a reporter’s query in connection with recent appointments in Ukraine. "This situation is impossible in Russia," Peskov said. He said under Russia’s legislation certain positions envisaged access to state secrets. "Getting this access naturally implies the existence of Russian citizenship, and not a week-long but permanent, and rules out any foreign citizenship," he added. He said it would be incorrect to ask whether the Russian president considered appointments of foreign nationals to high positions possible. "It is not about what the president thinks in this respect, but it’s about what is set in laws on state service," Peskov summed up. In the latest developments, last week Georgia’s former president and Odessa’s Governor Mikheil Saakashvili appointed Russian public figure Maria Gaidar as his deputy. Gaidar is the daughter of Yegor Gaidar, an ideologist of liberal economic reforms in Russia in the 1990s. He was Russia’s acting prime minister from April to December 1992. He also held prominent state government posts under President Boris Yeltsin.